Might as well go for Controversy Week on the blog, eh? 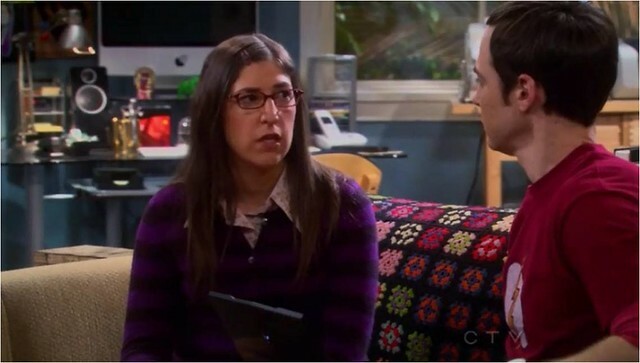 I like Mayim Bialik as an actor, totally think she improves Big Bang Theory, and think she has obvious science chops. I personally get pretty geared up about the immunization "controversy" (which I only think is a controversy in the same way as the climate change "controversy"), and was disappointed over her Science Friday brouhaha about immunization. Then I got a promo from NCTM giving her top billing at a meeting. Do you all know that Mayim Bialik is a supporter of the anti-immunization movement? Pretty disastrous for teachers, should she have her way. I don't think we as an organization should be legitimizing her as science-related, let alone promoting her. This was in the news recently because of her appearance on Science Friday. I am sending the attached letter on behalf of NCTM President Linda Gojak, who is copied on this message, in response to your message below about Mayim Bialik. Thanks for addressing this and for responding. I understand the tensions involved. I do think there's a difference between having a Ph. D. and qualification in math ed. For example, the many Ph. D.s in mathematics who support Mathematically Correct would probably not be advertised by the NCTM in promotional materials. May I share this letter with others? Actually Mayim has been doing some work in mathematics education with a supportive stance on the importance of mathematics as fundamental to the foundation needed in STEM areas. I think the CCSSM provides us the opportunity to work together from a variety of viewpoints to work together to do what is best for our students. So it is no longer a divide between mathematically correct or not correct, rather it is about what prepares our students with multiples options in the workforce. You can share the letter as you see appropriate. I'm very happy to be part of a group that attends to its members thoughts, and I do understand that decisions are not going to be by consensus most of the time. I don't want uniformity, relish diversity, and think I'm probably being over-sensitive here because of how I feel about immunization. What do you think? Would you put her on stage at your conference? I'm very pleased that NCTM responded so scientifically appropriately (in my view) to your objections. I would be very disappointed in a scientific and educational organization that would withdraw some one because of a view that disagreed with the majority. Would you ban books next. now compare driving under influence (which kills many more I believer)... who are they putting at risk. Where would Pareto's statistics suggest we take legislative action. In particular, in the midst of attempts to vaccinate every teenage girl, look up the number of deaths (or major illnesses) from the disease, now consider even a very low side-effect ratio and do the math. It doesn't sound like good science to me. Thanks for posting your view. I appreciate your passion; but I hope many of your readers will be more concerned about censoring those we disagree with, than supportive. I'm not sure I agree with the NCTM on their decision, and their response seems evasive to me. As a side note, there have been a few studies showing that the number of minor side effects (muscle cramps, aches, fever, etc.) from vaccines is the same whether a patient is given a real vaccine or a placebo. (I think flu vaccines were used in the studies; for obvious reasons, you don't want to give placebos instead of important vaccines...) I believe the major predictor of which side effects patients reported was what side effects were listed in the brochure explaining the possible side effects. For the sake of your children and the children they play with, vaccinate. This should not be a choice. This next part is where I get wishy washy. Like John said, she's like a climate change denier or a creationist. The question is when does that matter? I know plenty of creationists who are quite lovely people. I just don't want them teaching evolution to children. Climate change deniers are really only bad when it's an entire major US party...oh..crap. So does it matter if Dr. Bialik is an anti-vaxxer? Does talking at NCTM (or ISTE) give her extra credibility? I'd like to think no since obviously Jenny McCarthy has no actual expertise but I'm conflicted. In McCarthy's case it's not that she has expertise it's that she has a microphone. She won't shut up about it and people keep putting her on TV. So I guess I'd say to Dr. Bialik, go ahead and talk about math teaching but please never mention vaccinations again. I had not heard about the controversy surrounding Mayim Bialik's views on vaccinations, so I did a quick google search on “mayim bialik vaccination” to bring myself up to speed. The first page of results included several blog posts which expressed anger at Dr. Bialik's decision to not vaccinate her child (or perhaps just anger at the fact that she answered a question about it on NPR), and one blog post by Dr. Bialik in which she responds to some of the things written about her. While many of the blog posts resorted to ridicule and even name-calling, Dr. Bialik's post was not only thoughtful and well-written but also remarkably civil in tone. This is how I insist my students conduct themselves when discussing their own disagreements in my classroom, and if nothing else I appreciate Dr. Bialik modeling that behavior. Regarding the description of Dr. Bialik (from your original letter to the NCTM) as “a supporter of the anti-immunization movement,” it seems to me that this is something of an overstatement. Since vaccinations are, as she indicates in the title to her blog post, something she doesn't want to discuss, it seems more accurate to simply call her a famous parent who has made a parenting decision that many people disagree with. Furthermore, I'm not sure I understand how Dr. Bialik's parenting decisions could turn out to be “disastrous for teachers, should she have her way.” For one thing, I'm not sure what “way” Dr. Bialik is attempting to have, and for another, I can't see how anything Dr. Bialik does or doesn't do is going to have any effect whatsoever on me as a teacher, much less turn out to be disastrous for me, my students, or my classroom.